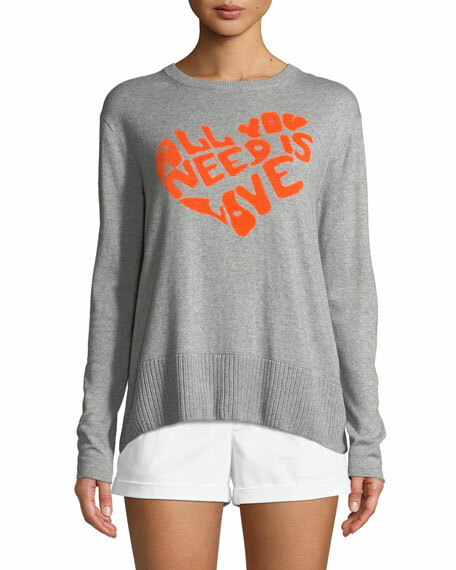 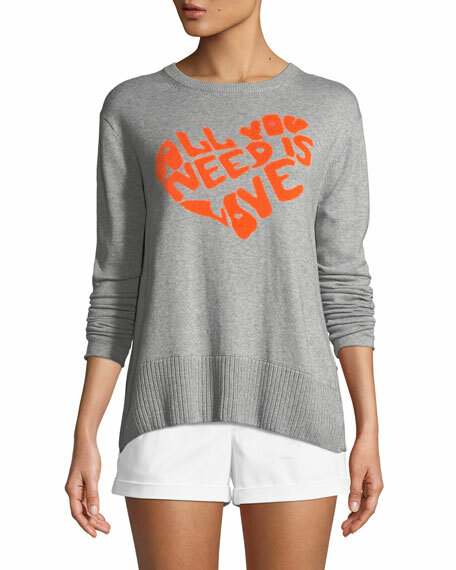 Lisa Todd pullover sweater with "All you need is love" intarsia in heart shape. 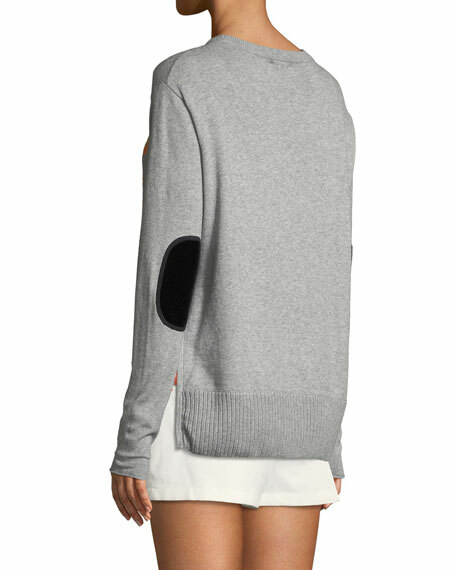 Long sleeves with elbow patches. 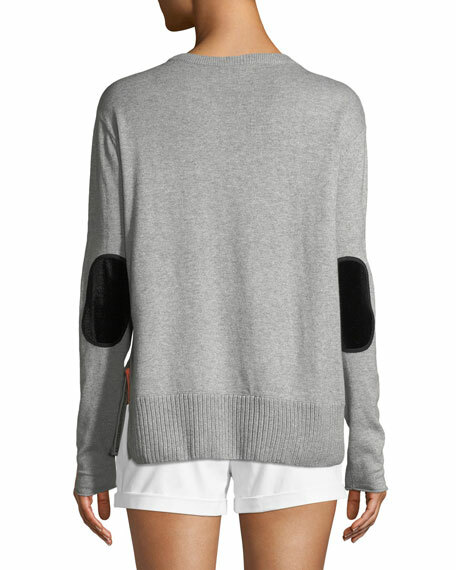 For in-store inquiries, use sku #2620889.